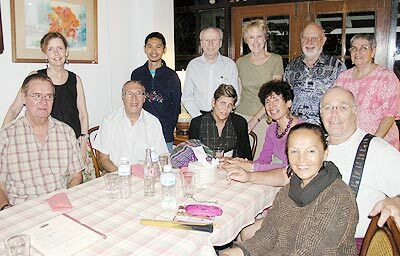 Pictured second right is Paul Schoenkopf, at his Dining Out Group’s much appreciated visit to the Hong Tauw Inn Restaurant on Nimmanhaemindha Road. Honorary German Consul Hagen Dirksen at a concert by Narat Kitavadhana at Baan Nai Fun 2. Standing are Hagen, Jojo, Suchera, Kanok, Narat, Thiya and Max (l/r); seated are Cheerichan, Wanpen, Anchalee and Nopawan (l/r). 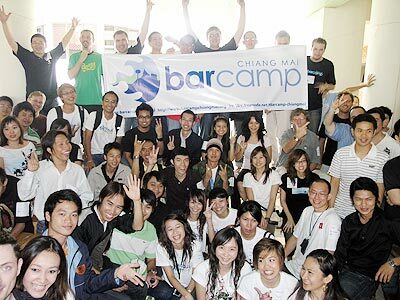 On May 17, Payap University hosted a ‘Barcamp’ for IT guys to network, discuss and present new ideas in an unstructured way. 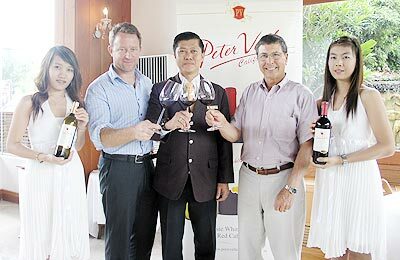 Daniel Schwalb, director of marketing & sales for Siam Winery, with Watanyu, manager of Le Crystal and Peter J. Vella, celebrating the introduction of Peter Vella wine to Chiang Mai at Le Crystal Restaurant. 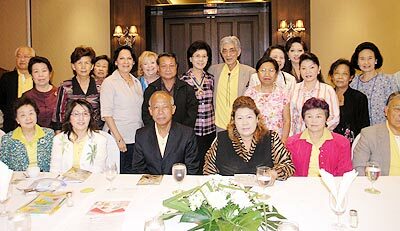 ‘Thin ThaiNgam’ Rotary Club 3360, pictured at the Chiang Mai Grand View Hotel’s restaurant during their regular Thursday lunchtime meeting. 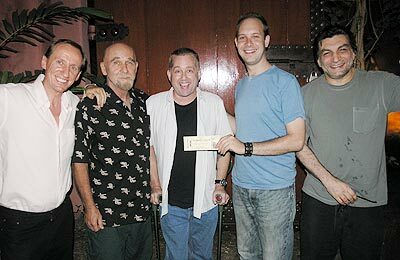 The boys are winning again at The Garden Bar’s monthly quiz, now that Tim is back! This month, the winners received a free pass to the Speed of Sound Concert on May 29 from Bradley. Pictured are Mark, Harry, Tim, Bradley and Mohamad (l/r). 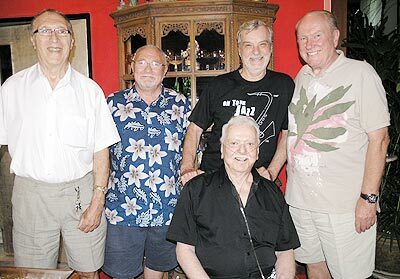 Bud, sitting in the middle, celebrates a belated birthday with his ‘Royal lunch bunch’; Maurice, Milt, Ric and George, (l/r).